Trees, which provide shade and act as natural air conditioners, play an important role in helping to create cities that are more resilient to extreme temperatures. 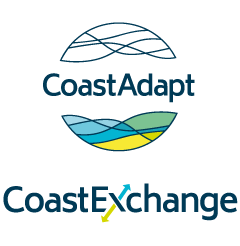 Coasts in the future will look different to our current coasts, making it imperative for adaptation planning to involve the community to ensure people’s views are taken into account. In February 2017, the Climate Council released a report on climate change and extreme weather events. One way to think about risks is through risk ownership. Risks can be owned by the organisation that owns the asset (such as a building owner), or the organisation that is responsible for managing the risk associated with that asset (such as a local council). The impacts of climate on infrastructure are changing, and will continue to change over the lifetime of infrastructure built today. Most Australians live in cities. Our four largest cities – Sydney, Melbourne, Brisbane and Perth – account for more than half the nation’s population. Miami Beach in Florida is at the centre of sea-level rise and flooding issues. The large urban community experiences significant flooding every king tide. What on Earth is Blue Carbon? Perhaps more appropriately the title of this post should read ‘What in the Ocean is Blue Carbon’, because that is where it is.